The 2017-18 was season number 44 for the New Jersey Devils in the National Hockey League. Although they were not the favorites to win the esteemed Stanley Cup, fans expected a far better performance. After all everything seemed to be going for the Devils until the end of 2016. Kyle Palmieri and Dam Henrique had registered 30-goal campaigns (2015-16), they had a productive draft in Taylor Hall and Cory Schneider was being named a serious contender for the Vezina Trophy. However New Jersey’s performance was far from impressive. They ended up not making the postseason for a consecutive fifth year. Besides, it was the first time since 1985-86 that the team finished last in the Eastern Conference. However, having learned from their mistakes, the Devils are back and have their sights set on making some noise in the NHL championship picture. Led by a talented young core, the Devils will look to be on top of a highly contested Metropolitan Division and bring home another Stanley Cup trophy. Division rivals, the Philadelphia Flyers and the New York Rangers will look to stand in New Jersey's way. Grab your Devils tickets and head down to the Prudential Center to cheer your favorite team on to victory! The New Jersey Devils are the proud winners of three Stanley Cups. In their illustrious history, the team has produced plenty of moments which Devil fans will cherish for a lifetime. The Second Stanley Cup Win -The reason why the Devils’ second Stanley Cup victory is ranked higher than the first and the third is because of their historic win in double overtime in Game 6. It was June 10, 2000, and the Devils were facing the defending champions Dallas Stars at the Reunion Arena. Patrik Elias made a blind backhand pass to Jason Arnott who beat Ed Belfour (Dallas Stars’ goaltender) with a one-timer and scored a stunning goal. This earned the Devils the right to lift the Stanley Cup trophy the second time. See them live and buy your Devils tickets here today! The Third Stanley Cup Win - The 2003 Stanley Cup Finals saw the second-seeded Eastern Conference Champions New Jersey beat the seventh-seeded Western Conference Champions, Anaheim Ducks in seven games. This marked the Devils’ third Stanley Cup win in less than a decade. The deciding game was played at the Continental Airlines Arena on June 9, 2003. New York Rangers -The Rangers-Devils rivalry is also known as the Hudson River rivalry and the two sides are often referred to as the cross-river rivals. This is because the home of the Rangers (Madison Square Garden) is less than 10 miles and across the River Hudson from the Prudential Center, which is home to the Devils. Although their rivalry dates back to October 5, 1982, it got more intense during the 1993-94 season when the Rangers won the Stanley Cup after defeating the Devils in the Eastern Conference Finals. Since then there has been a constant and heated debate among fans in the area as to which team is better. To see the Devils play get your New Jersey Devils tickets today. Philadelphia Flyers -The Philadelphia Flyers and the New Jersey rivalry is quite an intense one. It is often called the Battle of the Jersey Turnpike. Whereas the north of the state has more Devils’ fans, the southern part is concentrated with Flyers fans owing to the close proximity of Philadelphia to South Jersey. Since the realignment of the conferences in the 1993-94 season to the next realignment towards the end of the 2013-14 season, the Flyers and the Devils have won the highest number of Division titles. Over the last two decades, the New Jersey Devils have occupied a prominent place in the NHL. Below are some players who have contributed greatly to the success of the franchise. Martin Brodeur - Brodeur is not only the greatest Devil but also the greatest goaltender ice hockey has ever seen. He played 21 seasons in New Jersey, appearing in each one of its Stanley Cup victories. He holds several league and franchise records. These include the most regular season wins (691), most shutouts (125) as well as most games played (1,266). He is named among the 100 Greatest NHL Players by the league. Patrik Eliáš - Patrik played a total of 20 seasons in the NHL as part of the New Jersey Devils. He is New Jersey’s all-time leader in goals, points and assists. Besides he holds the franchise record for most points (96) accumulated in a season. He played in two of the Devils’ Stanley Cup Championships (2000 and 2003). After almost 30 years in the Meadowlands, the Devils moved to Newark in 2007 following the construction of the glimmering Prudential Center. With sweeping views of the city, stellar food options and a passionate fan base, there’s nothing not to like about a hockey game at the Rock. New Jersey Devils tickets -are now available. You can check out their preseason and regular season schedule for both home and away games. Although they fifth in the league in the previous season (with 82 wins overall), the Devils look to be on their way back up in the offseason. The changes they have made over the last few months such as the signing of Will Butcher and the drafting of Nico Hischier may work in the franchise’s favor. So get ready for tons of exciting action coming your way. Make sure you don’t miss out on watching the newly upgraded and confident Devils live with cheap New Jersey Devils tickets. Our process for purchasing cheap New Jersey Devils tickets is simple and fast. There are so many online ticketing sites, that it can be hard for customers to find the right place to buy New Jersey Devils tickets at the cheapest price. At ScoreBig we think of our customers first and foremost. We offer daily deals for New Jersey Devils events, so our customers can get the best seats for the best prices. ScoreBig will always go above and beyond to offer the cheapest New Jersey Devils tickets on the market. The New Jersey Devils schedule above, displays all available events for 2019 and 2020. Once you find the event that you would like to go to, click the red “Get Tickets” button. It is located on the right-hand side of the event listing, it will take you to an New Jersey Devils event ticket page. ScoreBig's event ticket page will display all available New Jersey Devils tickets for that event. On the event ticket page to help with your search for the right New Jersey Devils tickets, use the filters at the top to select quantity, price range, and more. There is also an interactive seating chart so you can pick where you want to sit. When you are ready to buy a ticket, click on the listing, and you will be directed to ScoreBig's checkout page. Upon completion of the information fields, your order will be processed and your New Jersey Devils tickets will be delivered via email, mail, or to your mobile device. What makes ScoreBig’s site stand out from the rest? We are constantly analyzing our competitors to improve our site, service, and prices. ScoreBig.com employees strive to offer the best process and experience to buy cheap New Jersey Devils tickets. Our goal is to get you the best seats to New Jersey Devils events. We offer daily discounts on our site and for special promotions check out our newsletter. If there are no New Jersey Devils events currently available, you can use our search feature at the top of the page to see a list of all popular events going on near you. No matter your price point, we have all the best deals and discounts on New Jersey Devils tickets. For more information on prices of New Jersey Devils tickets and the schedule for New Jersey Devils, check out our listings above. The last thing you want to find out is when the New Jersey Devils event you wanted to go to is sold-out. Don’t worry in many cases ScoreBig has affordable tickets to sold out events. We sell tickets from GA all the way to premium seating and parking. Skip the scalpers in the parking lot and get your tickets online from top New Jersey Devils ticket brokers. We get you in all events, buy your New Jersey Devils tickets here from a brand that many trust and rely on for all their ticketing needs. ScoreBig offers a 100% money-back guarantee. If you have been in search of cheap tickets for New Jersey Devils, ScoreBig by far is the best option. That’s why ScoreBig has more loyal customers than any other ticketing site. 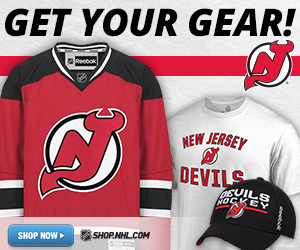 Shop at ScoreBig for safe and secure New Jersey Devils event tickets.